Though we are just at the beginning stage of the 2012 election cycle, action already is beginning to occur in certain Senate races. Below is a quick look at the situation in some of the first half of the in-cycle states. More will be covered in the near future. Arizona – Sen. Jon Kyl (R) – Retirement rumors are swirling. Should Mr. Kyl decide not to seek a fourth term, look for a free-for-all in both parties. If he does run, the state becoming more politically marginal suggests a competitive campaign battle. California – Sen. Dianne Feinstein (D) – The senator is safe if she runs again, but turning 79 before the next election, retirement considerations are a factor. The seat should remain in Democratic hands regardless of the situation, however. Connecticut – Sen. Joe Lieberman (I) – The senator is already discussing re-election plans, but his favorability ratings are among the lowest of any 2012-cycle incumbent. He will have strong Democratic opposition, possibly in the person of Rep. Chris Murphy (D-CT-5). It’s unclear what the Republicans will do. Defeated GOP nominee Linda McMahon is talking about running again. Former Rep. Rob Simmons (R-CT-2) is also a potential GOP alternative. Delaware – Sen. Tom Carper (D) – Right now, the senator is in strong shape for re-election. Defeated GOP nominee Christine O’Donnell is not yet out of the public eye, so another Senatorial run for her is not out of the question. Carper becomes the prohibitive favorite if O’Donnell enters the race. Florida – Sen. Bill Nelson (D) – Mr. Nelson begins the cycle in relatively strong shape, leading all potential opponents in early polling but only scoring mediocre approval ratings. State Senate President Mike Haridopolos has announced his intentions to run. Rep. Connie Mack IV (R-FL-14) is a potential candidate. Former Gov. Jeb Bush (R) has already dismissed a Senate candidacy. Indiana – Sen. Richard Lugar (R) – Another octogenarian at the time of the next election, Sen. Lugar says he will seek re-election. A Tea Party challenge could be on the horizon, however. Democrats will take a wait and see approach here. Massachusetts – Sen. Scott Brown (R) – With Republican Sen. Brown facing the voters for a full term in 2012, it appeared earlier that he might be the most vulnerable of GOP incumbents. The early numbers suggest a different story, however. He leads all potential Democratic opponents by comfortable margins and enjoys high job approval ratings. Michigan – Sen. Debbie Stabenow (D) – Considering the strong Republican sweep here in 2010, Sen. Stabenow has to be rated in the vulnerable category. Former Rep. Peter Hoekstra (R-MI-2) is mentioned as a possible challenger. This is a race to watch. Mississippi – Sen. Roger Wicker (R) – After winning the special election in 2008, Sen. Wicker will try for a full term in 2012. He should have no trouble in a state that is proving to be a national Republican stronghold. Missouri – Sen. Claire McCaskill (D) – This is shaping up to be another close statewide contest in the Show Me State. Former Sen. Jim Talent is a potential Republican candidate. Ex-state treasurer and gubernatorial candidate Sarah Steelman has already announced her intention to run. A toss-up all the way. Montana – Sen. Jon Tester (D) – Sen. Tester must defend the seat he won in a close contest over an incumbent back in 2006. 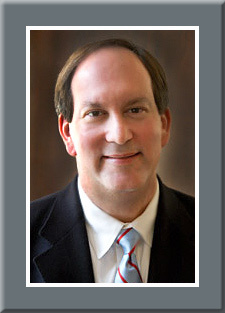 At-large Rep. Denny Rehberg is a top Republican potential candidate. Former lieutenant governor candidate Steve Daines (R) has already announced his candidacy. Nebraska – Sen. Ben Nelson (D) – With the senator’s favorability ratings among the lowest of those standing for re-election and trailing two statewide Republican office holders, Nebraska is the most endangered Democratic seat. Should Nelson not seek re-election, this becomes an easy Republican conversion.